The Raspberry Pi is great because it's a low cost way to test all sorts of crazy electronics ideas, but sometimes you might want to test before you test. Virtual machines are a great way to do so, and Grant Winney has a guide for setting one up using VirtualBox. If you run Windows and Mac apps side-by-side with Parallels, you may have been annoyed in the past that you can't use removable volumes (like USB drives) simultaneously in OS X and your Windows virtual machine. Web site Mac OS X Hints details how to remedy this problem with a simple solution: add a shared folder in Parallels that points to /Volumes. Not only will the new shared folder give you access to USB drives, but also your DVD drive and all other mounted volumes on your Mac—and you get it all without having to hassle with individually connecting and disconnecting drives from your virtual machine. 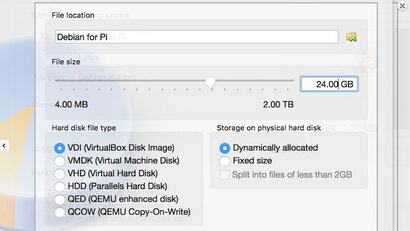 I tried to duplicate this method in VMWare Fusion but wasn't able to select the /Volumes folder. Either way, the Parallels hack is smart and saves a ton of time. You love working inside your Linux desktop, but at the most inconvenient times you've got to reboot into Windows—whether to open a tricky Office file, try out a Windows application, or even just play a quick game. However, with some free tools and a Windows installation disk, you can have Windows apps running right on your Linux desktop and sharing the same desktop files. It's relatively painless, it takes only a little bit longer than a Windows XP install, and it works just like virtualizing Windows on a Mac with Parallels Coherence—except it's free. Here's how to set up Windows inside VirtualBox, and then get Windows apps running seamlessly inside your desktop. You've got your computer tweaked and streamlined so that every program, bookmark, and password you count on is at your disposal whenever you need it, but what happens when your computer crashes and suddenly all this data is gone? Sure, you've already automated your data backups, and that's invaluable for saving your documents, but that perfect system state is another thing. Weblog Freelance Folder describes how to create and save a virtual machine containing all of your must-have software, passwords, and other custom settings so that in the event of an unexpected crash, you've got a quick backup "production" system that still contains everything you need. It's not as good as a complete system backup and restore, but it's a helluva lot better than nothing—and it's free.